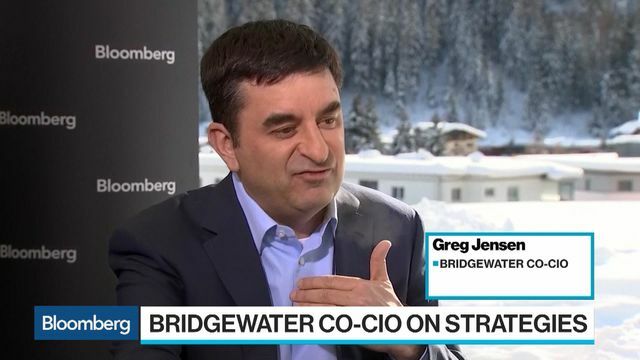 Jensen says Bridgewater sees a protracted economic slowdown on the way. In December, Jensen said growth in 2019 would be near recession levels at about 1 percent in the U.S., and slightly lower for the rest of the developed world. Jensen said cash continues as a viable alternative to U.S. stocks and bonds. As the annual summit got underway on Tuesday, Bridgewater founder Ray Dalio chastised monetary policy makers for an “inappropriate desire” to tighten monetary policy faster than the capital markets could handle, but expressed hope that they were now looking to shift more slowly. rose 14.6 percent in 2018. The macro manager trades globally across more than 150 markets.